In this racing game you see not only the unusual car but the unusual racers. For example, the superhero on the rocket and the lovely pink kitten. 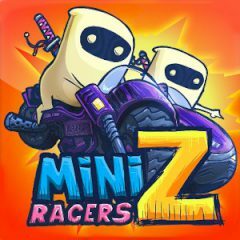 Win races, unlock more funny racers and tracks. Have fun!